Following annexation in Crimea, a tendency emerged to squeeze the indigenous population off the peninsula, Ukrayinska Pravda writes with reference to the report "Political Persecution in Russia: Six Months of 2017". 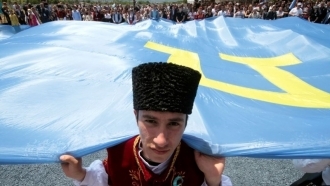 “A distinct tendency is observed to extrude indigenous people from the peninsula, first of all Crimean Tatars and Crimean Tatar activists. 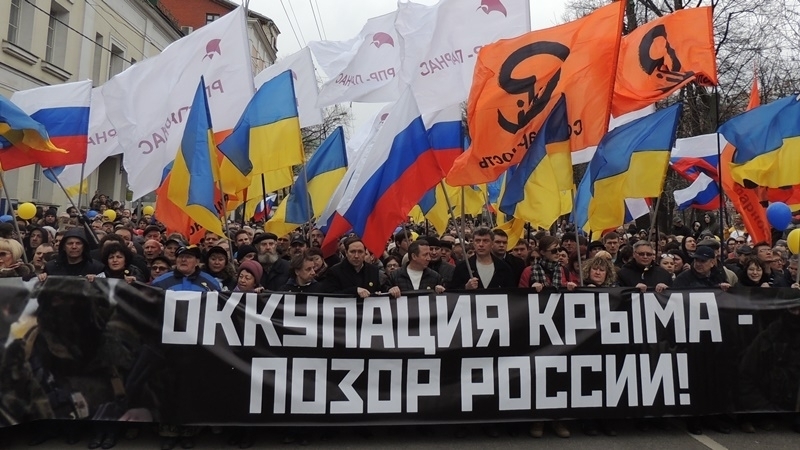 Conditions incompatible with the usual life of the part of the population that has retained Ukrainian citizenship, refusing to accept the Russian one, are being created." According to the NGO Crimea SOS, in 2016, about 280 cases of gross human rights violations were recorded on the peninsula, including three kidnappings, 32 new initiated criminal cases, more than 177 detentions, more than 50 searches were carried out and at least seven people were forced to undergo compulsory psychiatric examination. In total, since 2014, at least 15 people have been kidnapped or missing in the Crimea, the report says. Mostly they are Crimean Tatars, as well as civil activists and journalists who openly disagree with the Russia’s annexation of the Crimea. According to human rights activists, the list of Ukrainian citizens illegally deprived of their liberty in Russia and in the occupied Crimea has increased almost twice over last year: As of the end of November 2016, 36 Ukrainian citizens were imprisoned in the territory of the Russian Federation (the Ministry of Foreign Affairs of Ukraine informs of 31). “Since Russia annexed the Crimea, the authorities have been using a wide array of intimidation methods to suppress dissenters; A series of abductions in the period from March to September had led to the fact that many open critics left the region. Those who remained are persecuted by the authorities determined to silence opponents," John Dalhisen, Amnesty International's director for Europe and Central Asia, stated. Numerous evidence point to torture used in the course of investigative actions. Another widespread violation by the Russian authorities in the Crimea is discrimination on the basis of nationality and religion, as well as political convictions. "Residents of the peninsula are subjected to arbitrary detentions and arrests, the principle of presumption of innocence is virtually non-existent, Crimeans are massively prosecuted in falsified politically motivated cases, possibility of independent and impartial judicial review is totally absent, as well as a real adversarial proceedings," reads the report. Earlier QHA reported that President of Ukraine Petro Poroshenko after the meeting of the Ukraine-EU summit stated that "today all conditions exist to move to an active strategy of de-occupation of the Crimea seized by Russia." European Council President Donald Tusk, in turn, urged the Kremlin to release Ukrainian hostages that are being held in the Russian Federation and in the occupied Crimea.